As we age, it’s a given that we begin to decline physically, but we all probably know one or two people in their 70s or 80s who still do the NYT Crossword in pen every morning, proof that while our hips and cardiovascular stamina may go, there’s no reason for our mind to follow. New science strongly suggests that regular aerobic exercise may be the single most important thing you can do for the long term health of your brain. In longitudinal studies, significant effects were seen with as little as 30 minutes of aerobic activity every other day. Wild swings in blood sugar are hard on the brain. A low glycemic diet – high fiber, with moderate amounts of fat and protein – is broken down more slowly in the body than high glycemic foods, such as sweets and processed starches. 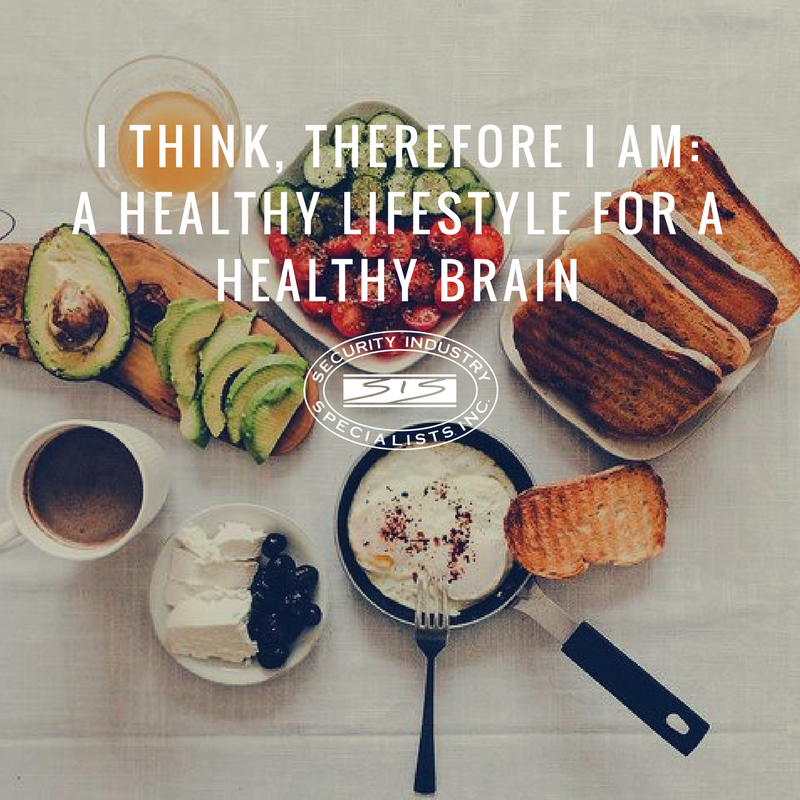 Avoid both overindulging, which can harm the brain by increasing blood pressure, and extreme calorie restriction, which reduces brain function by impairing memory and increasing confusion. A healthy, consistent diet is best. Type II diabetes, obesity and hypertension – all preventable diseases – all harm the brain. Keeping your circulatory and metabolic systems in working order will delay the onset of age-related brain function decline. When we don’t sleep, proteins build up on our neural synapses, which makes it harder both to think about the things we know, and to learn new things. Sleep clears away these proteins, preserving our cognitive function in the long term. The dreaming we do while asleep allows our brain to sift through new memories, consolidating or discarding the unimportant, and organizing the important, which makes us more effective, efficient thinkers in the short term. Normally all we hear about psychoactive chemicals as they relate to the brain is the damage they do, but large longitudinal studies suggest that two to four cups of coffee or tea per day may stave off normal cognitive decline and decrease the incidence of Alzheimer’s by 30 to 60 percent. It’s unclear whether the effects are due to the caffeine in these drinks, or the antioxidants in coffee beans and tea leaves, but the results are there regardless. Essential fatty acids, such as Omega 3s, are critical to brain function – they’ve even been shown to be effective in treating depression – and these chemicals are prevalent in fish. Studies on supplements have had mixed results, but studies that monitor the amount of fish consumed all agree that there are brain benefits to scarfing sushi. Be careful though. Apex predator species like tuna or swordfish bioaccumulate mercury and other toxins. Aim for the bottom of the food chain, like anchovies or tilapia. Stress takes a toll on the brain by washing harmful chemicals over the hippocampus and other brain areas involved in memory. Relaxing activities like yoga, meditation, and socializing all reduce stress. What habits are you adopting for a better, healthier mind this year? Comment below!